Point Loma is a seaside community within the city of San Diego, California. Geographically it is a hilly peninsula that is bordered on the west and south by the Pacific Ocean, the east by the San Diego Bay and Old Town, and the north by the San Diego River. Together with the Silver Strand/ Coronado peninsula, the Point Loma peninsula defines San Diego Bay and separates it from the Pacific Ocean. The term “Point Loma” is used to describe both the neighborhood and the peninsula. 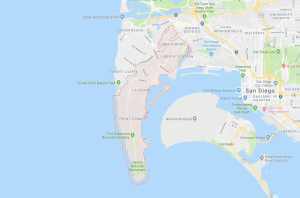 There are several distinct neighborhoods in the Point Loma peninsula. 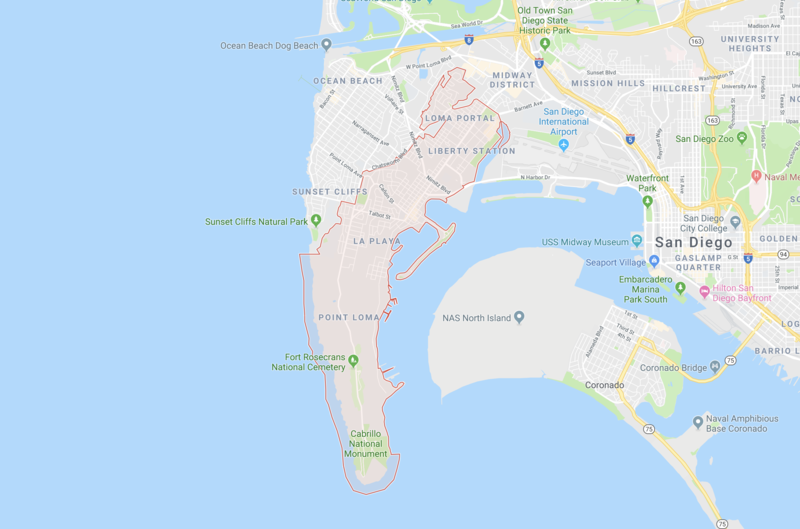 Most neighborhoods in Point Loma consist primarily of single family homes. The commercial and retail heart of the peninsula is called Point Loma Village. Its retail establishments serve local residents as well as yachting and sport fishing interests. The streets in Point Loma Village are lined with hundreds of jacaranda trees as a result of community beautification efforts. The newest commercial and retail area is found at Liberty Station site of the former Naval Training Center San Diego, which also has residential and educational sections. The Midway district at the northern end of the peninsula, adjacent to the San Diego River and the I-5 and I-8 freeways, is primarily commercial and industrial with a few small residential developments. Here at San Diego Properties we know the Point Loma market and understand the needs of clients interested in buying or selling in this community. Purchasing a property in Ocean Beach requires a partnership with educated & experienced realtors who will advocate the best for their clients. Contact San Diego Properties today at (619) 992-9121 for a free consultation.